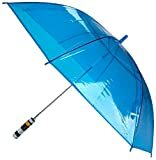 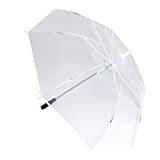 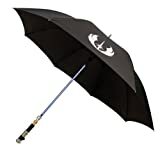 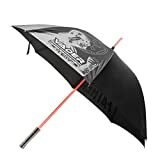 Whether you're caught in a rainstorm on Kamino or even here on Earth, simply unleash one of these cool new Star Wars Lightsaber Umbrellas - no need to waste your FORCE powers on individual raindrops ever again. 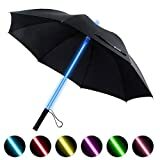 These out of this world umbrellas from a more civilized age have scaled down lightsaber hilts in Sith or Jedi styles including Obi-Wan, Yoda, and Darth Vader, each with an anodized shaft in the proper color for the saber's blade. 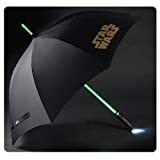 Very cool, but I hope future versions have illuminated shafts like in Blade Runner or an actual lightsaber with a popup canopy like the ones sold in the Jedi Temple gift shop, but unfortunately humans are too clumsy to handle those.